l'ultima tua prova sarà la morte. 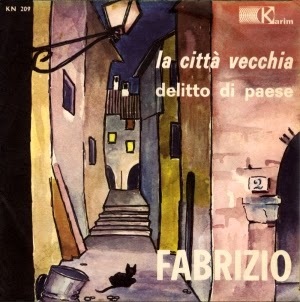 "La ballata dell'amore cieco (o della vanità)" was the B-side of the next to last 45 released on the Karim label. The first three verses of this song are taken from a French poem "La Chanson de Marie-des-Anges" by Jean Richepin. De André's father had studied French literature at university, and in the years following World War II De André grew up surrounded with books and music. One of his attractions was to the dark sensibilities of Baudelaire. The macabre lyrics of this song coupled with the lively music (Dixieland interludes!) show the influence also of George Brassens. 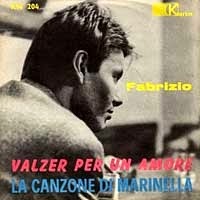 And that "tralallaleru" refrain is no doubt related to Trallalero, a group harmony singing tradition from the Ligurian region that was taken up by Genoese dockworkers and became hugely popular in the first three decades of the 1900s. with a woman who loved him not at all. the heart of your mother for my dogs. and to his love he did return. she wanted another proof of his blind love. cut the four veins of your wrist. running like a madman he returned to her. your final test will be death. a man had been killed for his love. when she saw him dying, contented. just the dried blood of his veins. 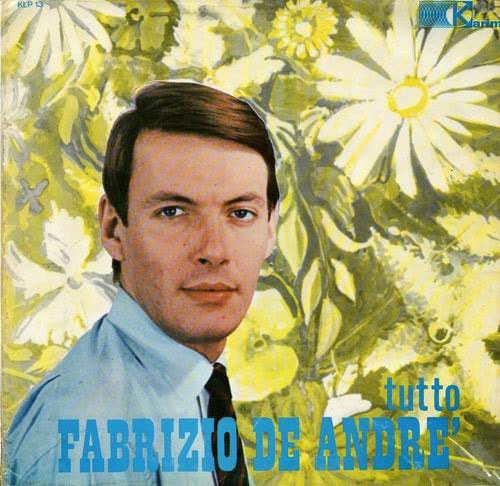 Tutto Fabrizio De André was released in 1966 and is a compilation of singles released between 1961 and 1966. 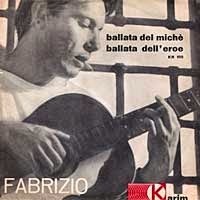 "La ballata dell'eroe" was the B-side of the 45 released by Karim in 1961 that De André considers his first published work (the A-side was "La ballata del Michè"). With the Cold War raging between the US and the USSR, and in the context of the unfolding Berlin Crisis, this song was a simple yet powerful anti-war ballad. 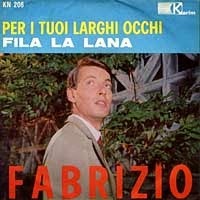 The song was re-recorded by Luigi Tenco in 1962 and appeared in the movie "La Cuccagna." 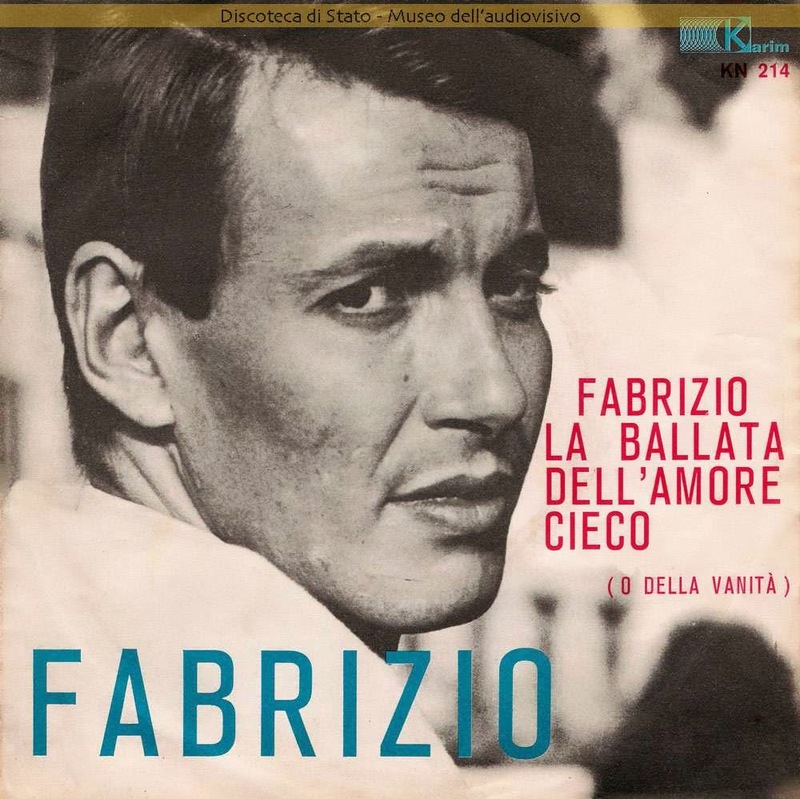 The song was republished in 1964 as the B-side to "La guerra di Piero" and also reinterpreted and included on Volume III. Though not officially credited, according to the sheet music of the song the music was written by Elvio Monti, who worked for Karim as arranger and orchestra conductor and who collaborated on many of De André's songs released by that label. to give help to his country. too far he pushed on, searching for the truth. of another hero added to its memory. 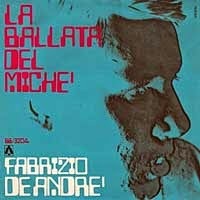 "La canzone di Marinella" is perhaps the most famous of De André's songs, and when it was covered with great success by the Italian artist Mina in 1967 it allowed De André to give up his day job and concentrate on songwriting. The song itself was based on the true story of a girl who became orphaned and then took to the streets to make money. She was murdered by a client. When he read the story, De André's impulse was to do something to help, in the only way he could - with a song, written as a way to change her death and to sweeten it somehow, given that we have no powers to change the events of someone's life already passed. non si sa, non è ancor certo. apri le pagine sul suo dolore. non varrà a scaldarle il cuore. apri le pagine al suo dolore. chiudi le pagine sul suo dolore. "Fila la lana" was presented as a translation of a popular medieval French song from the 15th century. 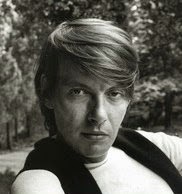 In fact the French source song was "File la laine" composed by Robert Marcy in 1948, popularized by Jacque Douai in 1955. The War of Valois in De André's version is better known as the War of the Breton Succession (1341-1364). The original French version speaks of the "Monsieur of Malbrough" which refers to a 1709 battle in the War of the Spanish Succession depicted in one of the most famous of French folk songs, "Marlbrough s'en va-t-en guerre." the Seignior of Vly died. is unknown, it’s still not certain. will mourn his sad destiny. keep fooling yourself that he might return. open the pages to its sorrow. to their palaces, to their cities. will be of no use for warming her heart. close the pages on its sorrow. tu lo imparerai solo qui tra le mie braccia. anche un po' di vocazione. il tempo ed il governo. tra le braccia della morte. sua madre a un nano. warming the people of other neighborhoods. you will learn only here in my arms. she’ll quickly refine her skills with experience. still required a bit of a calling? the weather and the government. to forget having been taken for a fool. There will be joy even in agony with strong wine. Old professor, what do you go seeking in that street door? she who by night sets the price for your desires. on more than one night. 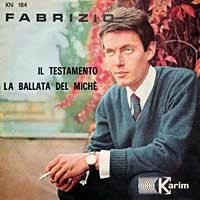 "La ballata del Michè," released in 1961, was the first song De André claimed as his own (the first two De André songs released by Karim he wrote off as "abortions" and "sins of youth"). He often said that the success of the song was enough to prevent him from giving up his songwriting career and instead becoming a criminal lawyer. The song was inspired by an actual news event, and includes a number of elements common to De André songs: a tolerance, understanding and respect of the common man and his circumstances, along with a critique of both the law and the church for certain of their hard-line and merciless principles. there hung Mike, all cold. would remain behind with you. Twenty years they had given him. someone who wanted to steal his Marie. twenty years in prison to rot away. they have to open the door for him. with the name and the date. "La canzone dell'amore perduto" was written when things were no longer going well between De André and his first wife "Puny" Rignon, though they continued to live together for a while. It's interesting that De André wrote this break-up song from the woman's point of view. 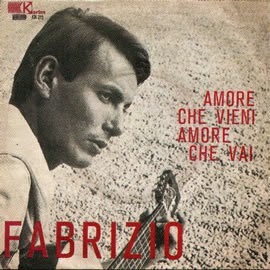 The song was extremely popular and was covered by many other Italian artists. The music is from Georg Philipp Telemann Adagio from "Concerto in D Major for trumpet, strings and basso continuo"). just like the two of us. and a bit of tenderness. you’ll be filled with regret. 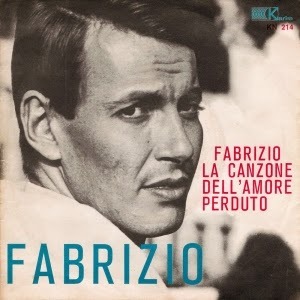 "La guerra di Piero" was the B-side of a single released in 1964, and it received little notice. However, in 1968 the song became an anthem to militant anti-war students in Italy and achieved the stature of Dylan's "Blowin' in the Wind." The song has its origins in stories told to De André by his uncle, who served in World War II in the Albanian campaign and spent almost two years at the Mannheim concentration camp as a prisoner of war. He never recovered from the wartime trauma, but his stories made an indelible impression on the young De André. Even though credited only to De André, the music of the song was co-written with guitarist Vittorio Centanaro. "La giava," translated as "square dance," was in fact a fast waltz that became popular in France after World War I, considered by some an indecent dance because it involved touching the hips of the girl (gasp!). You sleep buried in a field of grain. but a thousand red poppies. carried in the arms of the current. Thus you were saying, and it was winter. you go, sad as one who must. The wind spits snow in your face. let the wind pass over you a bit. whoever gave his life had a cross in exchange. on a beautiful day in spring. but the uniform of a different color. falling to the ground to cover his blood. he’ll only have time to die. to see the eyes of a man who is dying. he doesn't return the same courtesy to you. to ask pardon for every sin. takes way too much courage. I would have preferred to go in winter. too cold to melt in the sun. what inheritance I am leaving them. I’ll be so far into hell already. about the capital gains of a whore. to keep themselves happy and betrayed. ‘round the bed of a dying man. Mister gravedigger, listen to me a little. to cover with earth whoever rests in peace. to award you the golden spade. to reveal all the wrong ones to her. from my remembrance will sprout. I give it to the woman who offered me her tears. 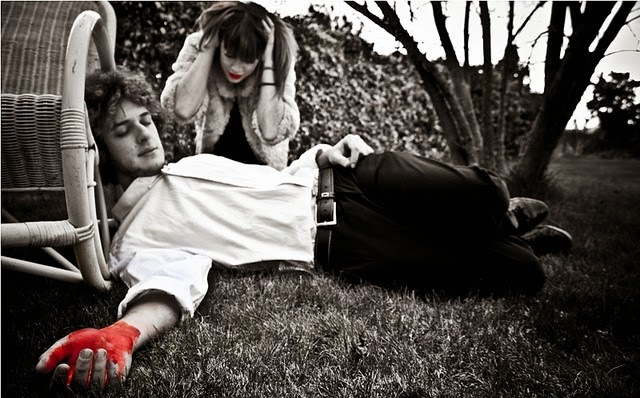 I’ll render to her a red petal of love. I leave the notes of this song. compelled to sell Christ and the saints. 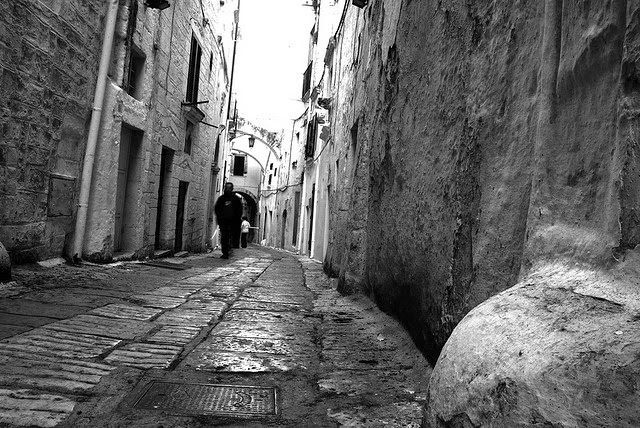 fleeing the burden of piety. we departed in thousands for the same war. when people die, they die alone.